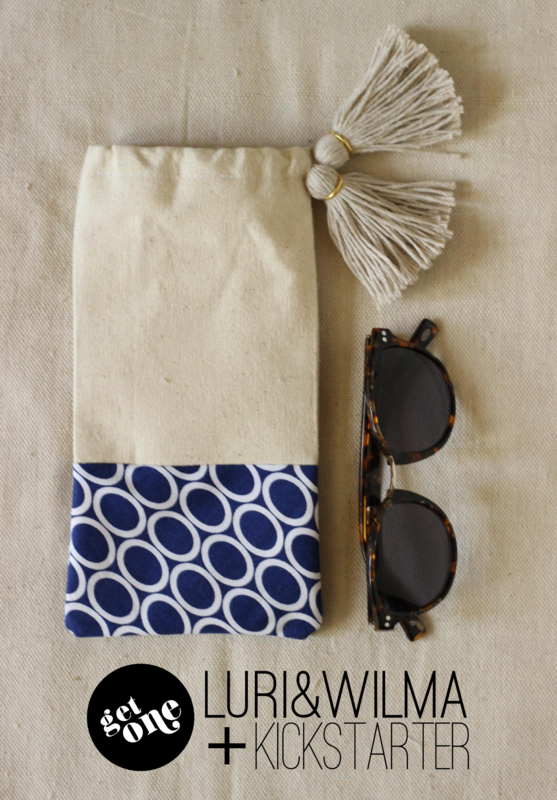 Luri & Wilma + Kickstarter: Exciting things are happening in the Luri & Wilma world. After publishing their first print edition back in March (featuring some super easy one-step upcycles from yours truly), they're looking to take it to print quarterly, and they need your help! Last week, they launched a Kickstarter campaign to support the printing of their lovely magazine. In addition to supporting the magazine, your contributions can garner you some pretty nifty rewards -- including one of my tasselled sunglasses cases. In the spirit of the magazine's smart and eco-friendly focus, I'm making up a whole batch of 'em using recycled fabrics especially for donors to Luri & Wilma's Kickstarter campaign! Fenton Street Market / Silver Spring, MD: In other news, if you're in the DC area, Luri & Wilma will be at Fenton Street Market in Silver Spring, MD this Saturday sharing more information on their printing endeavors and hawking some pretty sweet Studio Moody prints and the whole Fabric Paper Glue collection of card cases, wallets, and coin purses! Travel Issue: Finally...um, yeah, I'm totally a cover model now. Yep, the latest online edition of Luri & Wilma is out -- and my awkward mug is all over it. Honestly, :/ is pretty much a dead-on interpretation of how I feel inside when I look at pics of myself, so try your hardest to focus on the vintage clothes I'm sporting in the Travel Essentials spread and my DIYs for packing a meal to go. you're adorable! now you can put "model" in that other skills section of your resume. do it.